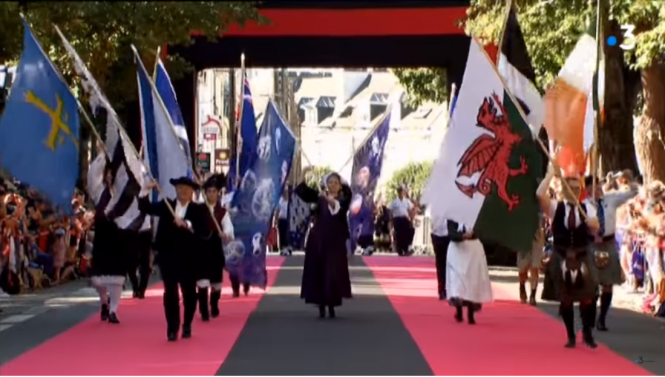 The Interceltique Festival opened with 70,000 visitors lining the streets of Lorient for the grande parade. The Connexion is proud to be a media partner of the 48th edition of the popular Celtic music festival, which runs until August 12 and attracts some 750,000 festival goers. The cream of Celtic music from Galicia to Scotland has descended on the coastal Morbihan town, which hosts around 200 events and shows, of which 120 are free, featuring thousands of performers. Every year, the event celebrates a particular Celtic culture. While 2017 swung to a Scottish beat, this year's event sees talents from Wales take centre stage, with the likes of Delyth Jenkins, NoGood Boyo, Ofelia, and Yr Hwntws performing in the Pavilion d'honneur.